Are you creating hyper-local blogs to attract buyers? Are you lost on how to market to different generations? Do the terms Facebook advertising and vlogging make your head hurt? 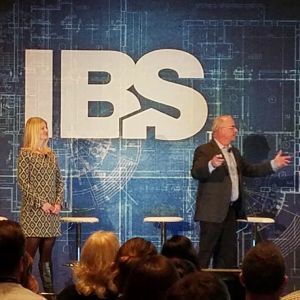 If your answers are No, Yes, Yes, then you’ll be thrilled to learn that our team will be speaking at the 2019 International Builders Show in Las Vegas, covering these popular topics and more. Listed below are breakdowns of each session presented by Denim Marketing Founder and President Carol Morgan, Denim Marketing Senior Account Manager Courtney Rogers and Denim Marketing Account Manager Mandy Holm. Make sure to add each session to your show planner! Keep it local! Potential buyers are looking for homes in specific areas, not an entire metro area. Builder Highland Homes, located in central Florida, keeps it local by writing hyper-local blogs about the 16 communities they are in. This content provides home shoppers with an easy way to find the builder’s homes no matter what city the homes are in or near. Design-build firm Associate in Building + Design shares content that is relevant to the design-build process and how they work with their clients in the local Fort Collins, Colorado area. The quality content produced by these builders attracts both buyers and search engines and serves as the foundation of the social media program as well. Participants will gain valuable information on how to create hyper-local blogs to attract buyers, how to create a content plan focused on your target buyers and gain insight on how to use content for a successful SEO and social media program. 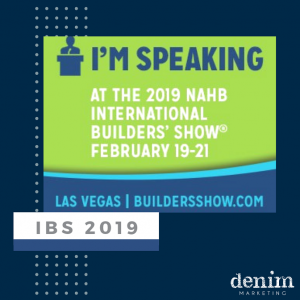 This is a presentation that all builders, sales and marketing professionals need to hear, presented by Denim Marketing Senior Account Manager, Courtney Rogers and Heather Schreiner, General Manager/Interior Designer at Associate in Building + Design. How to market and sell to different generations and niche markets is complex. As development and building costs explode, we see more and more microproduct being developed. This includes smaller houses, and townhomes on super narrow lots– often demanding prices as high as $450/sq-foot. And, it isn’t just small homes and townhomes, we see tiny houses and teeny condos too. Why are homes getting smaller? Housing has become expensive, not everyone can afford a $400,000 or million dollar home. To meet price-based demand, builders and developers are innovating down. From creative adaptive reuse to the need to fill a workforce housing requirement, microproduct is popping up nationwide. Most people think it is only the Millennials buying these small homes, but it is Gen X and the Boomers too. Understanding the demographics and psychographics of buyer’s impacts marketing decisions and your bottom line. Drawing on 20 years of ViaSearch buyer profile data, media ratings and buyer preferences along with actual permits, sales and deeds gives a clear overview of what is going on with today’s buyer. Find out what today’s buyer looks like from the millennials who are starting to “nest” to the empty nester boomer buyer. Participants will gain insight from MarketNsight’s John Hunt and Denim Marketing’s Carol Morgan on why small homes, townhomes and narrow lots are popular, as well as learn what is influencing the buying decisions of millennials, Gen X and Boomers, learn where on social media to market to the various generations and discover how to determine what product to build and how. Video blogs (vlogs) are to video what the blog is to content. Add a personal touch to your online content by adding a vlog. Find out how to get started, what stories make good content and how to edit and promote your own vlog. Vlogging allows companies to put an approachable face on their brand. Hear from Kelly Fink, Vice President of Sales & Marketing for The Providence Group on how they launched an award-winning vlog to promote its neighborhoods and the surrounding areas that make them great. Denim Marketing’s Account Manager, Mandy Holm, will share how the builder promoted the vlog through Facebook advertising to extend its reach. Vlogging is a perfect pairing of content messaging and marketing it to target audiences. During this presentation learn what a vlog is and why it might be right for your content strategy, what makes good vlog content and how to develop a story line and learn how to measure and track the success of your paid and organic campaigns. Join NAHB BuilderBooks author, Carol Morgan for a 10 minute ask the expert session at the IBS Store. She will give social media tips and answer questions. Her book, “Social Media for Your Business” is a top-seller at IBS and is sure to help you get started in social media. Other builder books authors will be featured during the show. Look for Quint Lears on Wednesday at 3 p.m. to discuss sales. 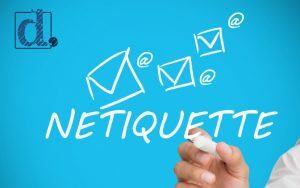 And, Marla Esser will talk about green building on Thursday at 3 p.m.
Netiquette, where common courtesy meets the internet, has become a necessary focus as business communications have evolved and become web-based. The telephone is no longer a primary form of business communication; texting, instant messaging, and social media have become mainstream. When is it okay to text a client or business partner versus sending an email? And, is the answer the same for a boomer, Gen X or Gen Z? Do we overuse the exclamation point? And what about using emojis or emoticons in emails? What is polite behavior and how do you keep from offending an important contact? During this workshop, you’ll be entertained and engaged as Carol Morgan, CAPS, CSP, MIRM, president of Denim Marketing, reminds attendees of tried-and-true practices that are sensitivity to manners but also reflect cultural norms and efficiency. Should I Be on Snapchat? Hear four 15-minute, high-energy presentations sure to leave you with key takeaways you can use to improve your business and personal productivity. You will be challenged to explore and examine questions such as: Do I really need to be on Snapchat to grow my business? How do I position myself with a personal brand others want? Is it possible to declutter my space and mind so I’m more productive? What are the steps I need to take to overcome obstacles that are holding me back from my next big opportunity? Senior Account Manager Courtney Rogers will spend 15 minutes discussing which social media sites are key for your business and which ones can be left behind, helping you to prioritize the sites you focus on. She’ll also cover social media advertising, giving a few key tips that will help you become even more effective at what you’re doing on social media. Do you want to reach buyers where they are? The Providence Group recently got 60 leads in two days from Facebook ads and media relations. Love or hate Facebook, it is the No. 1 social media outlet and the world’s most sophisticated advertising platform. With recent algorithm changes, it is harder to reach followers and prospective clients with organic reach. Hone your Facebook advertising skills to create engaging ads that reach target audiences based on their behaviors, interests and more (Facebook knows more than you think and more than it probably should!). Learn about the various ads available (website clicks, click to call, promoted posts, videos, events, likes and other ads) and how to maximize reach, engagement and ROI. Whether you are looking to drive traffic to a specific landing page or simply increase post engagement, Facebook has an ad option that caters to that. Two Facebook pros, Mandy Holm, Account Manager at Denim Marketing and Kelly Kenton Fink, Vice President of Sales and Marketing at The Providence Group, will show you how to target your ads and your spend. Participants will gain insight into how Facebook advertising can enhance reach and deliver targeted ads to key audiences, learn what options are available for reach, engagement and ROI, learn how to target ads to various audiences from first-time buyers to Millennials or empty nesters and learn how to measure and track the success of your campaigns. We hope to see you at the Builder’s Show! Mark your calendars and visit www.BuildersShow.com to learn how you can attend these sessions. For more information on Denim Marketing, Contact Us or call 770-383-3360. Let us know if you would like to make an appointment with Carol Morgan, Courtney Rogers or Mandy Holm at the show.